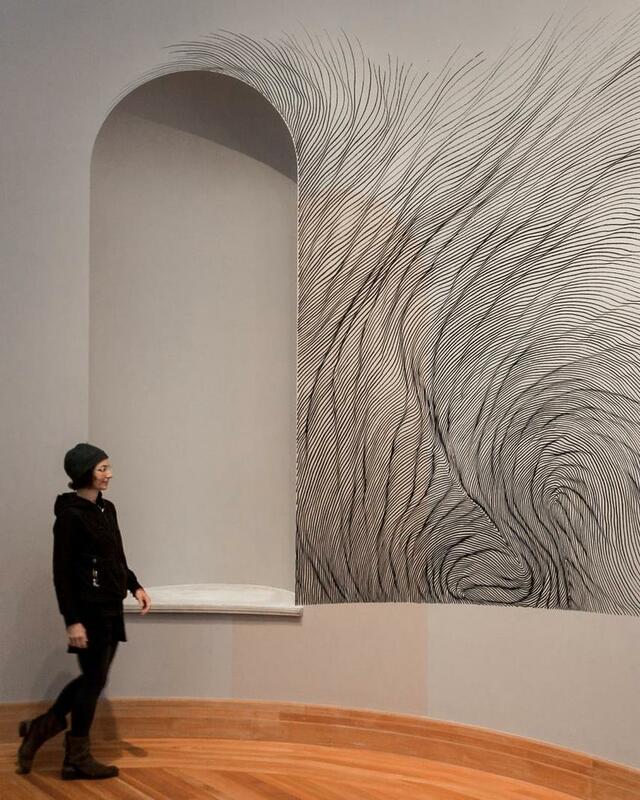 In conjunction with the exhibition Let's Get Lost/ Listening Glass, Linn Meyers will be in conversation with Jonathan Frederick Walz, Director of Curatorial Affairs and Curator of American Art, The Columbus Museum, Georgia and Anne Collins Goodyear, co-director, about the nature of artistic and curatorial collaboration. -Bowdoin College Museum of Art. This event will take place at the Bowdoin College Museum of Art on February 21, 2019, from 4:30PM - 5:30PM and is free and open to the public. For more information, please visit https://www.bowdoin.edu/calendar/event.html?bid=1015808&rid=114499.